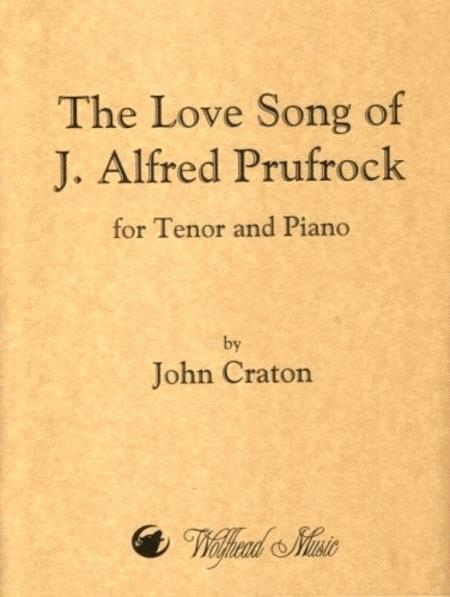 Composed by John Craton. Vocal music. The T.S. 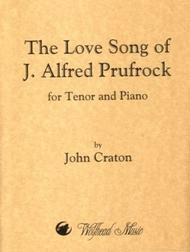 Elliot poem set to music for tenor and orchestra, this version for tenor and piano. Contemporary. Sheet music. Duration 28 minutes. Published by Wolfhead Music (WF.WM705). A setting of the T.S. Eliot poem for tenor and strings, this version is for tenor and piano. The poem is divided into six movements: 'Let us go then' (lines 1-22); 'And indeed there will be time' (lines 23-48); 'For I have known them all already' (lines 48-74); 'And the afternoon, the evening' (lines 75-110); 'No! I am not Prince Hamlet' (lines 111-119); and 'I grow old...' (lines 120-131). The work was composed for and dedicated to tenor Richard Barrett.